Norman J. Warren’s PREY (also known as ALIEN PREY and re-baptised by the French as the silly-sounding and very inappropriate LE ZOMBIE VENU D’AILLEURS) is an oddity, as most of Warren’s horror-efforts are. Satanists. You gotta hand it to them, they’re usually not the most friendly kind of people. 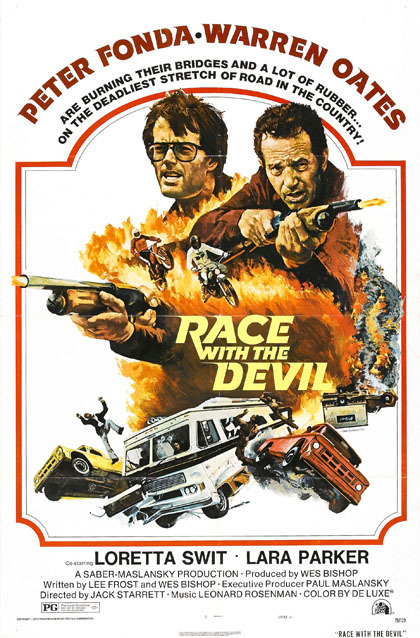 In ‘Race With The Devil’ Peter Fonda, Warren Oates, Loretta Swit and Lara Parker run into more than a whole bunch of them during their vacation. The only thing for our foursome left to do, is get in their vehicle and drive… Racing away right up until the terrifying climax. Well what do we have here? Here’s proof that some film-makers were still freezing and (to a lesser extent) shocking during the nineties. 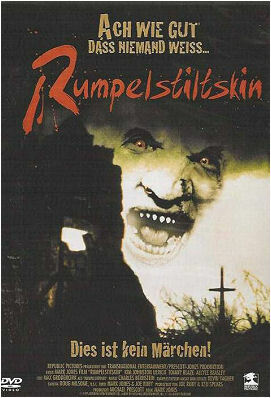 Not exactly the most memorable of all horror decades, but a modest little B-movie playing it tongue-in-cheek like RUMPELSTILTSKIN, is bound to at least put a stupid grin on any horror-fan’s face. When we’re talking about freeze-frame shock-endings, I think this one is edged in the collective memory of all true horrorfans. Slasherfans in particular. 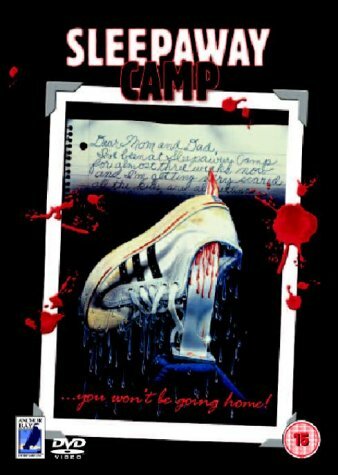 Oh, how I love the 80’s… Well, at least when it comes to cheesy horror movies. And SPOOKIES, although mildly atmospheric and effectively creepy at some moments, is a prime example of how crazy an 80’s horror movie could get.